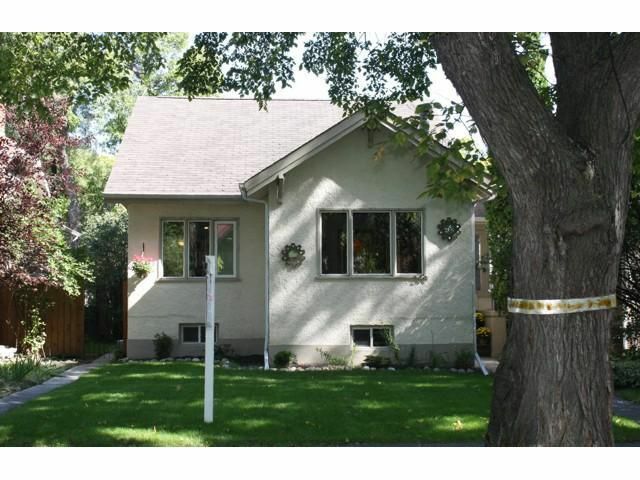 Showings start now...2 Open Houses 12-2pm Sat & Sun Sept 11 & 12th....Offers 6pm Tues Sept 14th.... Spacious, warm & bright family oriented home...safe & prestigious neighbourhood....great for kids to walk...4 blocks to Robert H Smith school...steps to Queenston school..12 blocks to Kelvin High...close to River Heights Community Centre, parks and Wellington Cres walking paths...very practical mainfloor layout..3 bedrooms including large master bedroom loft with exposed beams, ensuite & walk-in closet ..2 full bathrooms..gleaming oak hardwood floors..single, over-sized garage with automatic opener...parking pad...private, fenced yard with mature trees...fully finished rec room, den and former bedroom in basement ..newer windows..large back deck (previous owners had a hot tub & infrastructure appears to be still existing)...side porch/mudroom...neutral decor...gas fireplace..high demand Old River Heights location...charming character home for below average price!!! A golden opportunity!! !